There are numerous benefits of Chanting Ram Naam. 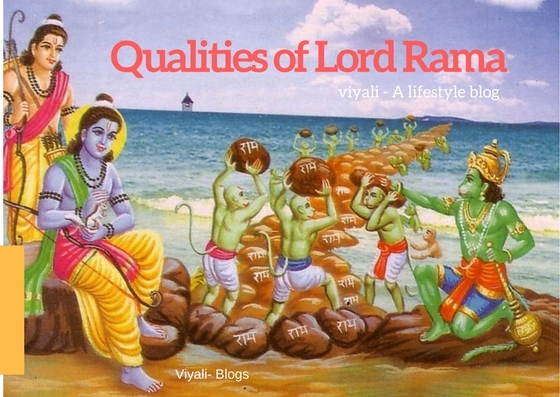 On this post, we are defining how could chanting the name of Lord Rama can improve your life. Chanting Ram Naam helps people to achieve Perennial joy so that they can easily cross the Bhav Sagar. We request you to please read the whole article to understand it in detail. Previously, I wrote this post on 16 October 2017 and Google ranked it on top without any promotion. 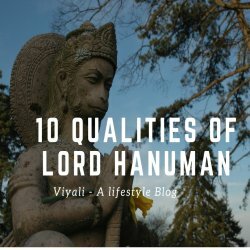 It is notably exceptional to see that people are liking the content related to Lord Rama and sharing the post content on various social channels like Quora, etc. Therefore, we have decided to enhance the article for everyone, so that everyone could know the importance of Ram Naam Jaap in detail. Without wasting any time, Let's understand what Ram Naam means? 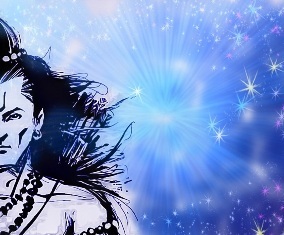 Lord Shiva's name is inseparable from the name of Lord Rama. Omnipotent Shiva admires the qualities of Lord Rama, and Ram praises Shiva as supreme consciousness. Well, as an individual point of view, I have great faith in both, Shiva and Rama. They are the Hriday (heart) and atman (soul) of my living existence. There is no difference between Shiva and Rama. While consecrating water on lingam; I love Chanting the sacred mantra of Lord Rama, Om Ramaya Namah. Similarly, While passing through any temple of Lord Rama; I love chanting Om Namah Shivaya. Therefore, Worshipping anyone means worshipping both lords. What I concluded by adoring both that, the generous benefit of Chanting Ram Naam is that almighty Lord Shiva gets pleased automatically. 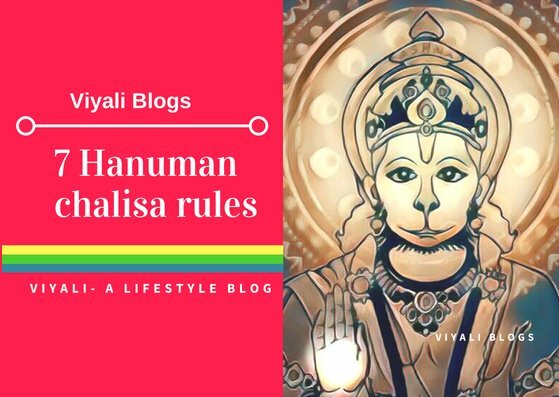 Due to worshiping Lord Rama; The next big thing happened to me is that I got connected to Lord Hanuman. 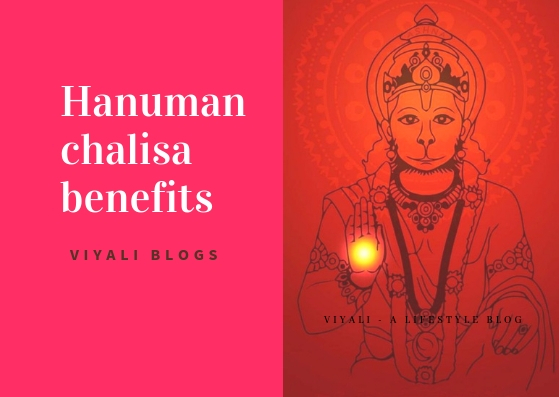 Now I follow all the Hanuman Chalisa rules while chanting. 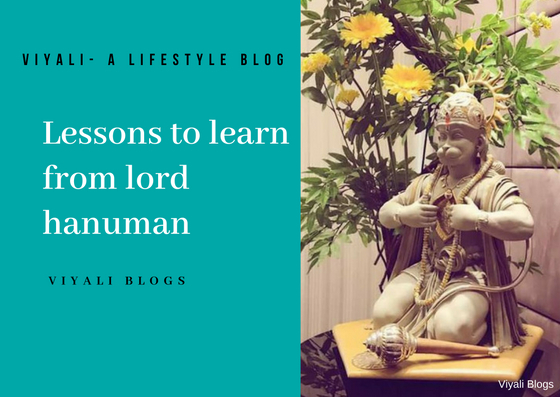 That helps me to learn various lessons from Hanuman. It was my curiosity to figure out the spiritual benefits along with the scientific benefits of Ram Naam chanting. When someone put two different literals 'Ra' & 'Ma' together. It gives the sense of divine consciousness and becomes the name of Lord Rama. The power of Ram Naam Chanting gives the exceptional joy to the human mind and heart. 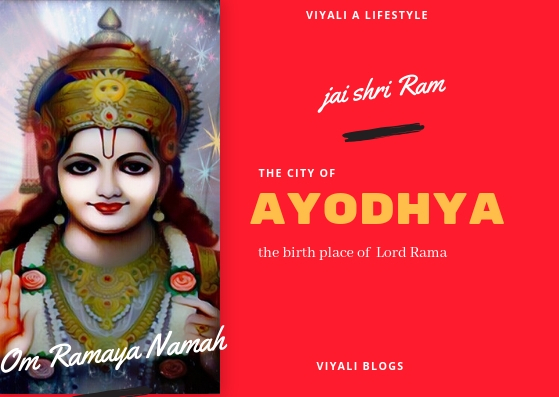 Great sages of ancient India or Asian subcontinent and poet like Sage Valmiki defined Rama as the Avatar of Lord Vishnu in a grand apotheosis known as Ramayan. Sage Valmiki manifested Son of Dasrath and Kaushalya as the human avatar of Supreme sentience. The one who is everywhere and in everyone but we cannot see him with our open eyes. A person who has selfless reverence on him can easily see or observe the presence of Raghu Nandan. (Raghu Nandan Another loved name of Shri Rama). Otherwise, that divine entity is present everywhere, but you wouldn't be able to observe him. He works in a baffling way. 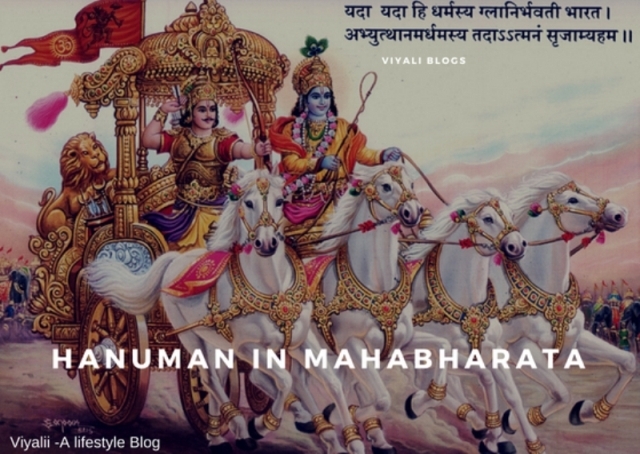 In human avatar lord, Rama gave a very significant message to whole humanity. Always do good Karma and follow the path of righteousness. Have compassion in your heart. Respect your Parents, teachers, elders. Rama is Antaryami ( means - The one who knows everything) who has many names. The highest authority of cosmic phenomena. 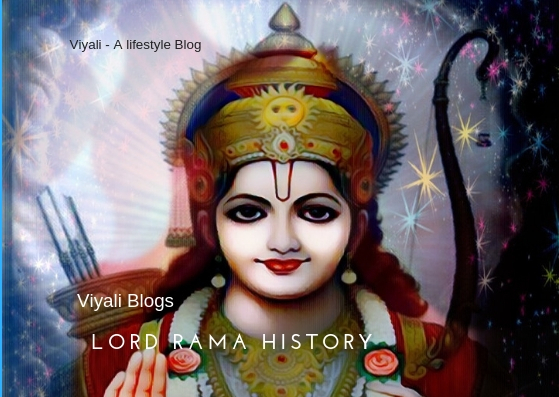 The name of Rama is one of the most compelling and positive vibes in this cosmos. We all know very well about the Benefits of Meditation. Chanting or reciting Ram Naam while meditating enhances the benefits of Meditation, phenomenally. 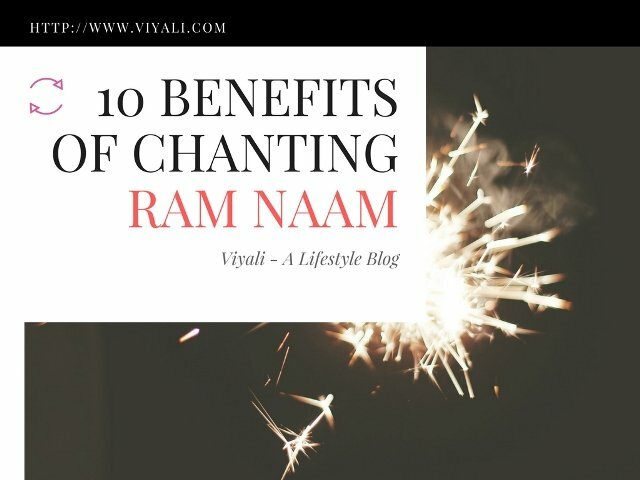 10 benefits of Chanting Ram Naam. Reciting and chanting the Ram Naam in the Meditation unites you with the Supreme sentience. Chanting Ram Naam makes you free from your destructive energy. It develops the constructive energy flow in you. Chanting Ram Naam gives you peace of mind and helps you to overcome the disorders like anxiety and Depression. 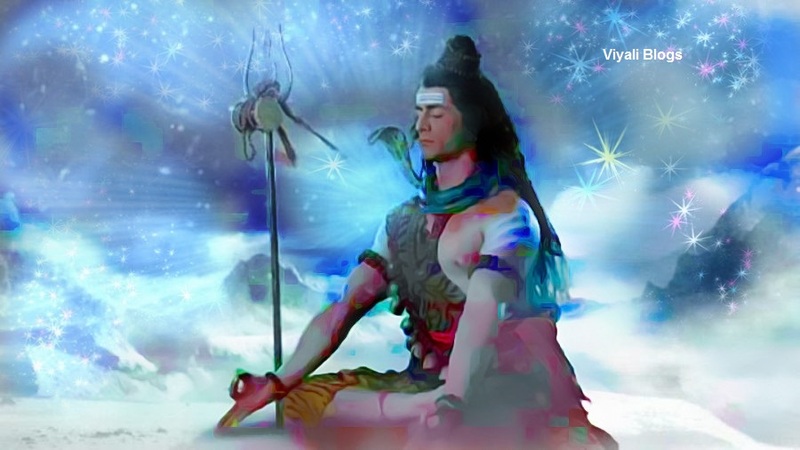 Chanting Ram Naam creates a significant vibration on the human body which invokes the part of the subconscious mind by invoking sleeping nerves neurons. It improves your decision-making abilities and makes you more creative. Ram Naam helps you to overcome bad behavior and anger problems. 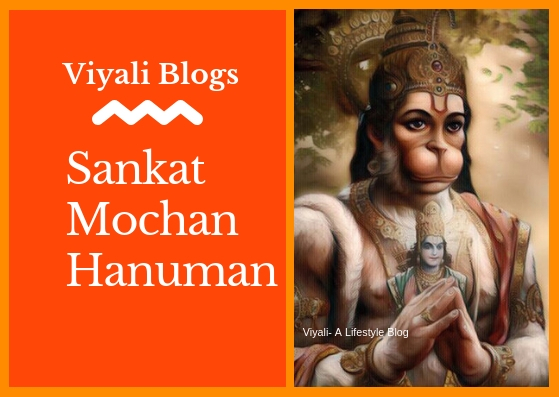 The Chanting Ram Naam makes you able to come out of penitential sentiments. Chanting Ram Naam act as an Ayurvedic medicine which heals your emotional pains and sorrows. It also heals you physically like improving your Blood circulation and enhancing your blood purification system. That is the power of Ram Naam that even dying person can get his life back. 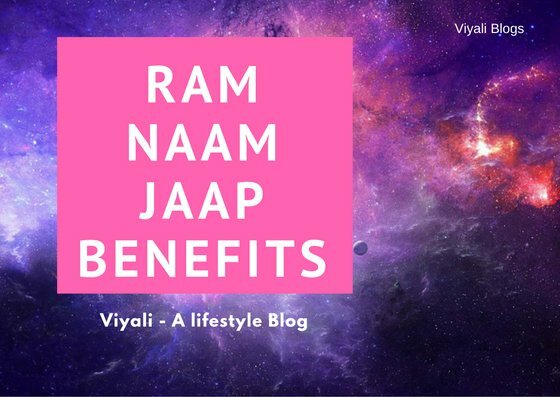 One of the substantial benefits of Ram Naam Jaap is; it will set you towards the right direction on your life journey. It will grow the feeling of Compassion, trust, and faith in you which will help you to become a better human being, a better gentleman. There are several benefits of chanting Rama mantra-like, it gives you param Anand which means perennial joy. It will improve your body metabolism and reduce catabolism or toxic elements from your body. Reciting and Chanting Ram Naam is The easiest way to purify Soul and Karma Even Mahatma Gandhi Chanted Ram Naam at the time of his Death. He stated " Hey Ram ... "
These are the only few positive effects of chanting Ram Naam. Ram Naam is not limited to any particular section of society. Ram is the universal name of the divine entity; the title belongs to every section of life which includes Humans, animals, plants, rivers, mountains, etc. Just by reciting and chanting the name of Lord Rama we get freedom from our past sins. Name of Ram is the base of the Asian subcontinent. For Indians, the name of Ram is synonyms for peace and strength. Ram Rajya is believed to be the most peaceful state. If Chanter continuously chants the Ram name; he will surely get the benefits of chanting Rama mantra. It is possible that chanter may not get the result instantly but if continued chanting Ram Naam. The improvement will start happening. You only need reverence for him. When your devotion is real for him; he will unquestionably come to you in a mystic form to solve your issues. You can chant Ram Naam while mediating and feel the Miracles of chanting Ram Naam. We are living a limited life on this earth what is the use of living like a stone who cannot take the Ram Naam. This life is an enormous ocean of thoughts and karma hence it is called BHAV - SAGAR. Ram Naam is that boat which can help you to cross this BHAV- SAGAR. After writing the name Rama on the stones of the Rama Setu; the rock-solid rock started floating on the sea. If a rock can float on the sea after writing the name of Lord Ram on it; then, why can't we float on this BHAV- SAGAR. Even Lord Shiva destroyer of the darkness and evil loves to chant the name of Rama. That is a beautiful bond between Shiva and Vishnu . In which Lord Ram regards Shiva as supreme Consciousness and worships him just before the battle with the demon king Ravana. Chanting Ram Naam is good for soul and mind. It reduces animal passion and rude behavior in you. It makes you more creative by invoking subconscious neurons and the pineal gland. Chanting Ram Naam is healthy for your blood circulation and blood purification which is responsible for glow in your skin and face. Thanks for reading the benefits of Chanting Ram Naam. With our limited knowledge, we tried our best to express the importance of Ram Naam Jaap. In case if we missed something, please feel free to let us know. Last but not the least thanks for your valuable time in reading this blog post. Please don't forget to share it with your family and friends.